It is interesting to re-read Milton Friedman’s Capitalism and Freedom some fifty years after its original publication. There are many aspects of the book that are likely to catch a contemporary reader’s attention, but mine was drawn to Friedman’s analysis of racial discrimination. In general, Friedman believes that capitalism is fundamentally good for promoting categorical equality. More specifically, Friedman argues that racial discrimination in employment (and housing as well, it would seem) is essentially impossible within a market economy. So self interest on the part of employers will induce them to make hiring decisions that are category-blind: the most productive and least costly worker will be hired. A rational business or corporation has powerful incentives not to discriminate. In fact, Friedman expresses skepticism about whether the concept of “discrimination” even makes sense within a market economy. It is hard to square these observations with the rigid segregation and discrimination that was taking place at the same time in the Jim Crow South. 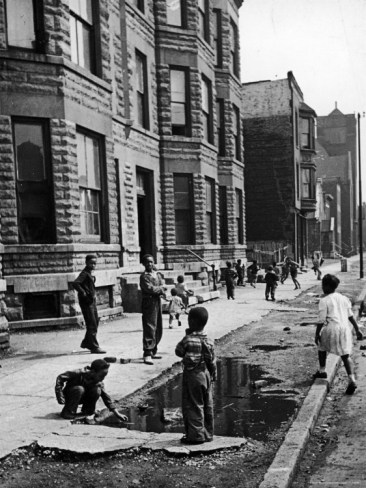 For that matter, the facts of racial discrimination in housing and employment that have characterized American society since emancipation were perfectly visible in Friedman’s own city of Chicago in 1962. So all Friedman needed to do was to look around him on Chicago’s South Side. Friedman draws a logical conclusion from his set of assumptions about markets and discrimination: fair employment practices legislation is wrong. “Such legislation clearly involves interference with the freedom of individuals to enter into voluntary contracts with one another…. Thus it is directly an interference with freedom of the kind that we would object to in most other contexts” (111). So taking steps through legislation to reduce the harmful effects of racial discrimination in hiring (and presumably in housing) is an illegitimate use of the force of government, according to Friedman. In fact, he compares efforts to do so to the Hitler Nuremberg laws (111). These are stunning conclusions, now that we have lived through the Civil Rights movement and have seen the coercive practices that provided the architecture of the American racial system. What it suggests is that Friedman saw the social reality around him through the spectacles of an idealized form of pure market society, in which transactions occur between purely rational individuals and lead collectively to beneficent outcomes. But that was not the reality of the United States, then or now. In fact, Friedman’s views throughout this chapter illustrate a different deficiency. His analysis of racial discrimination is a striking example of the ways in which adherence to a theory can blind a person to the patent social realities around him or her. And once we see the realities of how racial discrimination and coercion worked in America, it is incumbent upon us as a society to put aside our stylized theories and attack the problem. Here are a few earlier posts on the Jim Crow system (link, link).